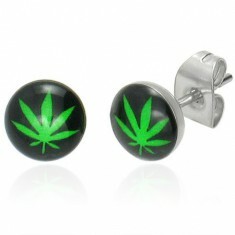 Your favorite product: Steel earrings with a picture of a green leaf of marijuana, puzetky G16.2 - is added to the wish list. 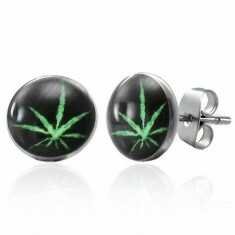 Earrings made of surgical steel with a motif of marijuana leaf green colors on a black background. 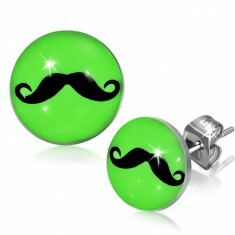 Your favorite product: Neónově green circular stud earrings made of steel with a moustache AA35.07 - is added to the wish list. Puzetové steel earrings, circles with the curlicue mustache, glaze. 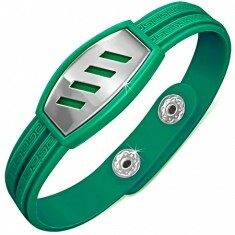 Your favorite product: Rubber bracelet dark green color with a steel sign of the Z9.10 - is added to the wish list. Bracelet made of rubber, steel mark with slanting lines, strap with a Greek motif. 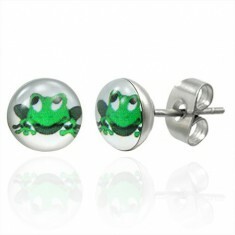 Your favorite product: Earrings made of steel, green smiling frog AA47.10 - is added to the wish list. Earrings made of surgical steel tree frog with a smile. 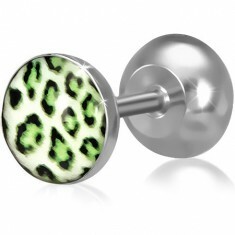 Your favorite product: A fake ear piercing made of steel, a circle with a green leopard pattern O1.13 - is added to the wish list. Shiny steel fake plug, glazed header with a print of animal fur. 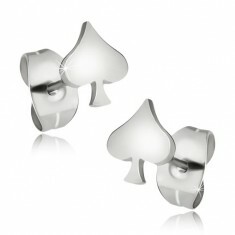 Your favorite product: Earrings made of surgical steel, spade leaf S19.06 - is added to the wish list. 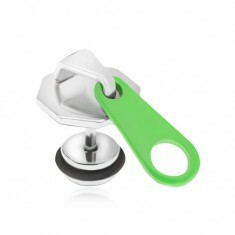 Shiny steel earrings in silver colour, card symbol - a green, puzetky. 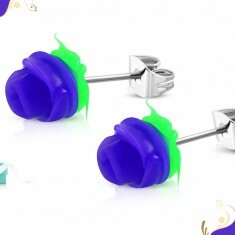 Your favorite product: Steel earring, black and green circle under the glaze S21.13 - is added to the wish list. Round earrings made of surgical steel, black circles on a green substrate, puzetky. 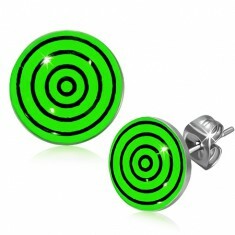 Your favorite product: Piercing in the belly of steel, a black zipper with a neon green tip M8.23 - is added to the wish list. 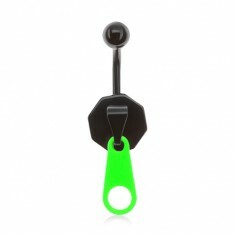 Black steel piercing belly, octagonal driver with tip neon green color. 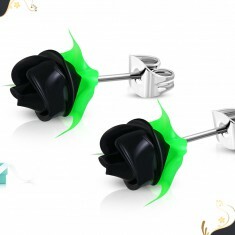 Your favorite product: A steel fake ear plug, zipper with neon green tip PC01.13 - is added to the wish list. A fake ear plug made of steel, octagonal zip, neon green tongue, black rubber band. 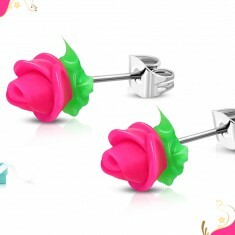 Your favorite product: Steel piercing belly, černozelený zip K3.7 - is added to the wish list. 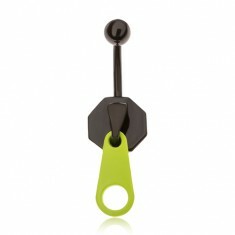 Black piercing in belly button of steel, an imitation of the movable part of the zipper, the tab of the color green.